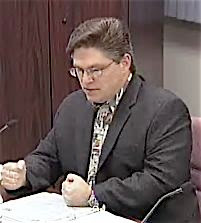 At the end of last week the agenda for Tuesday night's Costa Mesa City Council meeting appeared on the city web site. I scanned down through the agenda items to the very end and found an interesting entry. It seems the council will consider sending a letter to President Bush decrying the "amnesty" bill that has been resurrected and may be passed by the time you read these words. That's not really the point of this entry. Attached to that agenda item was a draft of the letter proposed to go out over Mayor Mansoor's signature, theoretically representing the views of the City Council. In the letter it made the following outrageous comment, "Our community suffers significant impacts as a direct result of unfettered illegal immigration, including hundreds of hit-and-run accidents every year in our small city alone." Well, not only did this comment catch my eye, but two Orange County Register reporters, Jeff Overley and Tony Saavedra, saw it and investigated the claim. Apparently this piece of fiction was fabricated by the actual author of the letter, our municipal court jester, Mayor Pro Tem Eric Bever. This is not atypical for him. He's been known to shoot from the hip and bend the rules with regularity. According to an entry by Overley on The Total Buzz, the Register's political blog authored by reporters Martin Wisckol and Peggy Lowe, CMPD Police Lt. Dave Anderson, who told Overley that the cops don't keep such figures, was quoted as saying, "We're a little taken back by that, because we have (found) no correlation on hit-and-runs and illegal immigration." According to Overley, Bever says there were 728 hit-and-runs in Costa Mesa in 2006, of which 284 were solved. Of those, 186 involved unlicensed drivers. Bever, without proof, infers that most of those people were illegal immigrants. He is quoted by Overley as saying, "We didn't have a rash of 14-year-old kids stealing mom's car and playing bumper cars through the city." That's a typical glib, smart-aleck response from him. Subsequently, investigative reporter Saavedra reported, "A look at Costa Mesa arrest data compiled by the Register shows that only seven undocumented immigrants were picked up for hit-and-run between Dec. 5, 2006 and May 31. That is a far cry from the "hundreds" every year reported by Councilman Eric Bever. Even when you consider the number of illegal immigrants arrested for driving without a license -- 26 in the six-month period -- Bever's numbers don't add up. " Prior to reading these reports I contacted the Costa Mesa Police Department myself, but no return call was received. I'm sure they were very busy trying to figure out how Bever came up his numbers. They needn't have bothered - he just makes up his "facts" as he goes along. A check of the city web site on Saturday found a new, revised version of the letter to be considered by the council on Tuesday. Yep, you guessed it - the reference to hit-and-running illegals is gone. This would be comical if it were not so darn important. This is precisely the kind of things I've commented on for years. Bever, Mansoor and their cronies really don't care if they have to play fast and loose with the truth as long as they get their way. Even though Bever continues to act the clown, this should deeply concern every resident of this city. It's clear from watching him that veracity is an "alien" concept to him (pun fully intended). One more time... you just cannot turn your back on these guys or they will stomp on your rights eventually, too. Consider yourselves warned - again. Bever and the council majority should leave this issue to the Costa Mesa residents, and let the residents take this matter to their elected officials. The City has no business, in a community already divided, to petition the President with the appearance that the City fully supports this letter. It's a shame that Bever so misguidedly would force the entire City to sign onto his partisanship at a time when our city's budget should have his full attention. If Bever read the national press, or even watched snippets of Headline News, he'd realize that resistance to the immigration bill is coming from both sides of the aisle. I'm glad they took out unsubstantiated "facts" out of the letter, but I have no objection to the letter itself. The bill itself is a horrible bill, and should be opposed by every American, immigrant or otherwise. Fixing the immigration mess is a top priority, but selling U.S. citizenship to criminals is NOT the answer. This is just a trick to try to put Katrina on the spot. There is no way she is going to swallow this. I don't have quite as much faith in Ms. dixon. Rob does a good job of toeing the conservative line on this one... "selling U.S. citizenship to criminals". Another view would be fulfilling the illicit promise made to them by the schizophrenic immigration policies of the last thirty years. We have been effectively saying "you shouldn't be here, but while you are here, would you mind mowing my lawn for cheap?" The real key in my opinion is if we have the fortitude to establish rules that are both economically intelligent and as humane as the majority of US citizens believes is appropriate. To that end, Bever and the band should keep their letter writing campaign a personal project and not infer that I as one of their constituents support them or their letter. It is absolutely true that our immigration mess is largely our own doing. What is offensive about this bill is not the legitimizing of a large and vital work-force, but the very low price put on U.S. Citizenship. I have no problems with an "amnesty" that provides for green cards or other forms of work permits that have a finite life span. Conservative line or not, the irrefutable fact remains: those who came here illegally made a conscious choice to break our laws. Literally millions apply to come here legally every year, and they should be given a path to citizenship. But the clear, bright-line distinction cannot be ignored - millions CHOOSE to break our laws and come here illegally, just as millions CHOOSE to adhere to our laws and respect our society and culture. I cannot stress this enough - this is NOT about partisanship, xenophobia, racism, etc., this is about our society and culture. If you break the law, you ARE a criminal - regardless of motive or enticement. If I commit a crime, I largely lose my right to fully participate in this society. I would be subject to incarceration, loss of voting rights, loss of 2nd Amendment rights, and many other social and legal ramifications. Letting those who came here illegally, and who have continued to live here while breaking more laws, obtain U.S. Citizenship for $5,000 would be a travesty on a scale that I can hardly comprehend. I don't know about other posters here, but I swore an oath to protect this nation and I will not stand by idly as a bunch of soul-less politicians try to sell it out. I agree with your concept of a path to legalization. I would probably be just as happy with a method of legalization without citizenship unless they followed the same rules and got in line with everyone else. That being said, what I want and what congress will put on the President's desk are never one and the same. As for the hard line on criminal behavior, please be careful how fast you drive to work tomorrow! I would hate to see you in that category. Am I inferring that speeding is as egregious as walking across the border? Yes, that is for the most part how our government has classified this act of immigration outside of proper channels. All the same, I would rather Bever and his Band never proffer to speak for me as a citizen of Costa Mesa on issues of immigration reform. Your facts are not irrefutable. Being convicted of a felony leads to the loss of those rights and privileges you list, not coming into this country illegally - that's a misdemeanor. If you break the law, you are not a de facto criminal. Driving 5 mph over the speed limit breaks the law because it's an infraction, but it doesn't make one a criminal. Coming into this country illegally, absent nothing else, is subject to temporary detention and deportation - not jail time. I'm not sure what your profession is so I don't know what oath you took other than a personal one. What I see as soulless is one elected official's endeavor to speak for the entire city when that city is divided on the issue. Immigration has impact on local government but it is mostly a federal issue. If Bever could muster more facts (or even credible anecdotal evidence)pertaining to Costa Mesa - hospital costs to the city, school costs, real and substantiated crime statistics - I'd be more inclinded to listen to him. But . . . he hasn't. Im my opinion, it's demagoguery. I for one would like to see our city mentioned in the national press for issues other than its stance on illgal immigration. You're right about the hard line on "criminal" behavior. When I use the term "criminal" in reference to illegal immigrants, it is the whole suite of lawlessness - failure to pay taxes, identity fraud, driving without licenses/insurance, etc. While not violent, the societal cost is high, and "rewarding" people who come here illegally with citizenship makes my stomach turn! But yes - simply "breaking the law" is remarkably easy to do, even inadvertently! On the flip side, I sincerely believe that the really strict enforcement should be on the U.S. "citizen" employers who reap the windfall on the backs of these people. The actions of opportunistic criminals who don't pay payroll taxes or worker's comp, and who undercut their legitimate competitors and drive wages down for everyone are truly despicable. I agree that the letter being sent "on behalf" of the citizens of Costa Mesa when we are divided on the issue is a problem. I wonder how many people actually commented on it at any public hearing? As DVS pointed out, I was too over-broad in my definition of "criminal." However, entering this country illegally IS a punishable offense, see 8 USC 1325. As with many misdemeanors under state law, the penalties for illegally entering the country range from a fine to 6 months in federal prison (or both) for a first offense. It gets much more serious for a second offense - up to 2 years in federal prison. That same statute offers extremely severe penalties for marriage fraud to avoid immigration laws - up 5 years in prison or $250,000 (or both). An illegal immigrant is immediately subject to potential imprisonment, simply by entering this country illegally. Anyone who has come here illegally more than once is subject to felony-equivalent imprisonment. Point is - people whose first act upon coming here is to break federal law do not qualify for U.S. Citizenship in my opinion. Rob, I agree on including the employer in the plan to reduce illegal immigration. As it is now, employers are required to get 'proof' that you are eligible to legally work here. Of course we can't validate that proof, nor is there a way for any enforcement agency to determine that we are following the law. How hard would it be to create a system for checking residency status much like buying a firearm. Log into a system, enter Driver's License (or state ID) and SSN and it says yes or no. If no, hand the response to the employee and let them duke it out with the feds. If yes, they are good to go. Add a check for SSN on payroll deposits and flag any employer that makes a deposit for a SSN that has not been validated to them. Not very neat, but better than what we have now. We do not know what the facts are. There are times, for example, when illegals are not arrested because ... they are illegal. Police need special trainings and authorization to make an arrest. What really really bothers me are the folks that drink, drive, and hurt someone (like the 18 year old Michigan girl that lost both her legs to a drunk that ran up on the sidewalk). The Supreme Court said that's okay: it would be wrong to deport someone for a drunk driving homocide. What? Sorry, but I'm having a hard time following this one. Your point is....?